Ontario egg farmers have been addressing health and welfare concerns for years | Chatham-Kent Agriculture Development | We Grow For the World! “The time has come. Time for Ontario’s egg farmers to stand up and speak clearly about continuing to provide the best housing for the health and welfare of our hens. They provide our livelihood and our lives revolve around our responsibility for them every day. Media headlines have seen fast food restaurant chains falling over each other to release competing announcements about plans to switch to “cage-free eggs”, in competition for market share. In addition to this, the Retail Council of Canada recently announced that its members were “voluntarily committing to the objective of purchasing cage-free eggs by the end of 2025.” This is also an attempt to protect their brands from attacks by professional activists opposed to all animal agriculture. Activists opposed to people choosing eggs for breakfast. Meanwhile, egg farmers have been working on these issues every day for many years. To proactively gather credible research to guide decisions on hen housing, Egg Farmers of Ontario supported a major study by the Coalition for Sustainable Egg Supply (CSES) in the U.S. over a four-year period ending in 2015. The CSES research engaged in a commercial-scale study to evaluate various laying hen housing systems and potential impacts on food safety, the environment, hen health and well-being, worker health and safety and food affordability. It provides food system stakeholders with science-based information on sustainability factors to guide informed production and purchasing decisions. The research found there are positive and negative impacts and trade-offs associated with each type of hen housing system. The bottom line is that enriched housing provides the best balance of the five sustainability factors. Following the results learned from this research, Canadian egg farmers have undertaken a progressive step forward by committing to phase out the use of conventional housing which has been so successful in reducing hen mortality, disease and antibiotic use while improving sustainability and affordability. Decades ago, innovation dramatically improved laying hen welfare by moving birds up off the floor, away from their own manure, into elevated, hygienic housing in small social groups. This resulted in dramatic reductions in: hen mortality; deaths by predators; insect infestations; disease and antibiotic use while improving environmental sustainability and consumer affordability. Conventional housing was tremendously successful in addressing four of the Five Freedoms of Animal Welfare better than any previous system. These are the freedom from hunger and thirst, freedom from discomfort, freedom from pain, injury or disease and freedom from fear and distress. Meanwhile, evolutions in housing have continued with new housing options being constantly tested and refined, improving hen health and welfare. Enriched housing, developed in Europe, evolved to address providing all of the five freedoms. This means addressing the fifth element, the freedom to express normal behaviour, in a way that provides the best balance of all of the issues of any of the housing systems. This is not to diminish the role of free run and free range systems for laying hens. As with all systems, it is possible to produce eggs humanely in these “cage-free” systems, although research and practical experience both show that it is more difficult to consistently provide all five freedoms in these systems than it is with enriched housing. The real challenge for public understanding of the benefits of enriched housing is their natural tendency to see “cage-free” through the lens of human experience and thought processes rather than through the eyes and instinctive processes of hens. 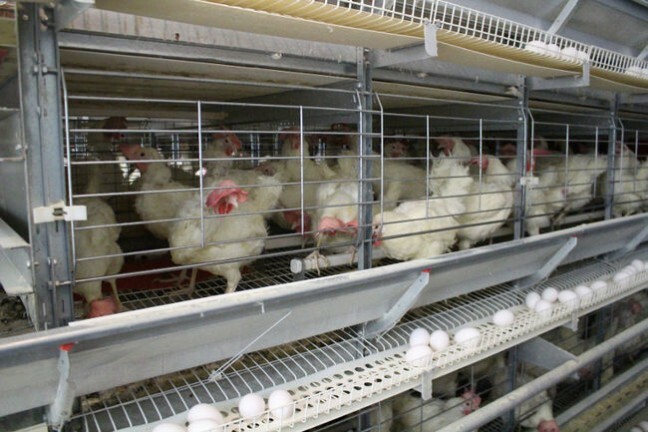 “Cage-free” egg production suffers from a number of drawbacks including: higher mortality levels; higher disease exposure; increased potential for antibiotic use; larger environmental impact and lower sustainability; degraded conditions for worker health and safety; and lower food affordability. These challenges can be managed and mitigated, but higher costs of doing so means lower food affordability for consumers. Consumers can and will continue to have these choices in the marketplace. The level of “cage-free” production will continue to be determined by consumers willing to pay those higher costs. Think about this – When you come to the Lord, there is no waiting line – His ears are always open to your heart’s cry.